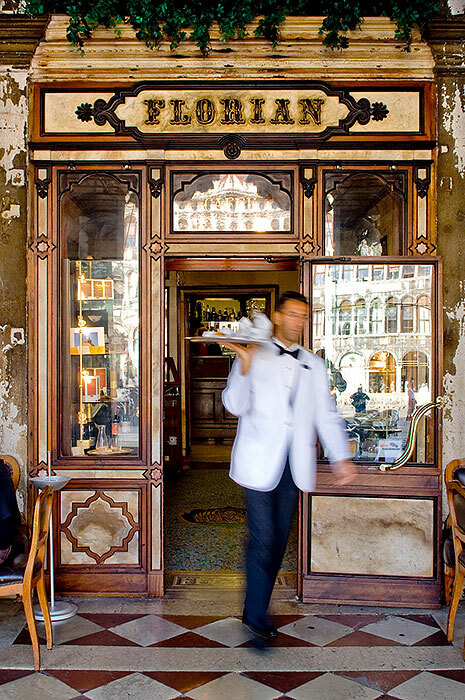 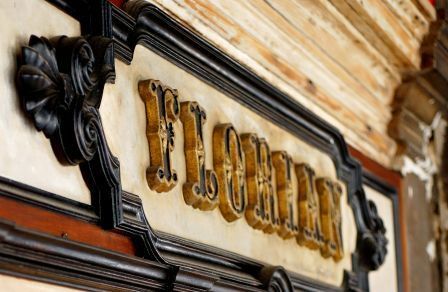 Set under the arcades of the Procuratie Nuove in St. Mark’s Square, Venice, Caffè Florian may rightfully claim to be one of the city’s symbols. 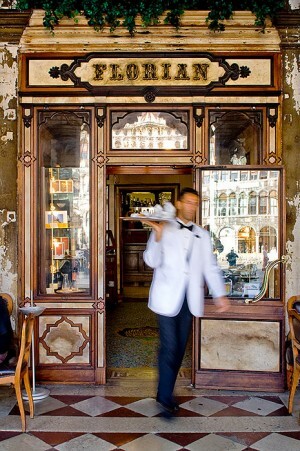 Opened on December 29th 1720 by Floriano Francesconi under the name “alla Venezia Trionfante”, or Triumphant Venice, it soon became known by its patrons as “Florian’s”, the most famous “bottega da caffè” (café) of the day frequented by important people as D’annunzio, Goldoni or Casanova. 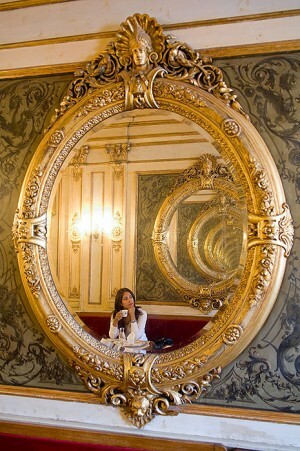 This is the past, but despite that the Caffè Florian lives through the epochal changes, the depopulation, the disappearance of rituals and habits, the turning economic and social values upside down that were symbol and memory of the Venetian society of the eighteenth century. 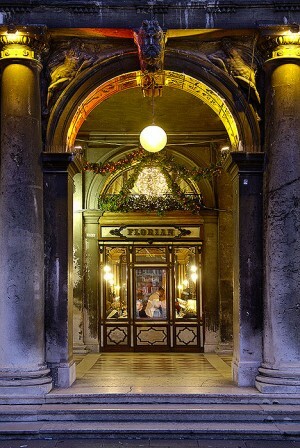 “a perfect way to stand out the contrast, reaffirming the vitality of these rooms in twentyfirst century and increasing its charm much more intensive in winter when tourists go away from the lagoon city and give back it to the few survivors Venetians”. 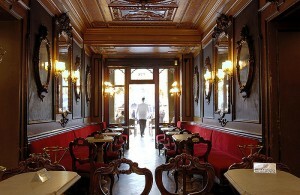 People don’t sit here for a simple coffee but to plunge into a unique experience where you can breathe history, listen to the good music of the orchestra, be pampered by the excellent service on strictly silver trays and enjoy the view of one of the most important and beautiful square of the world: St. Mark’s Square. 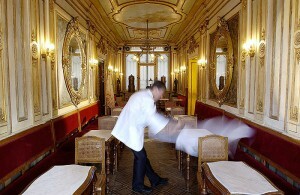 Protect and preserve this rich artist and cultural heritage is the main objective of the company. Although steeped in tradition, the Caffè is actively engaged in present-day city life, organizing top-quality cultural events, with expecially emphasis in the field of contemporary art. 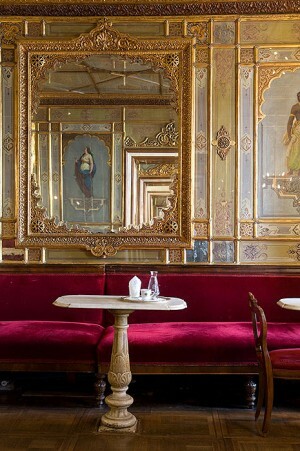 This refined space has always seeked to confront itself with the subjects of daily life in such a unique city, in particular through the relationship between art and culture. 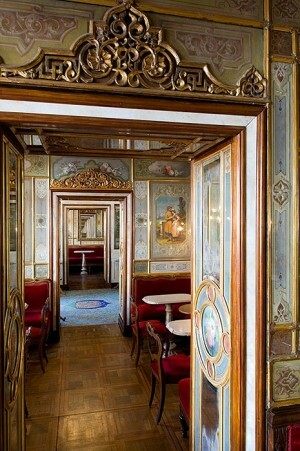 The Venice Biennale of visual Arts was conceived around its marble tables at the end of the 1800s, and for years the rooms of the Florian have hosted initiatives proposed by the most significant realities of contemporary art. This concept led to the idea of the first “Temporanea – The Possible Realities of the Caffè Florian”, an exhibition series where Florian’s “spaces” are redefined with the help of installations by artists such as Bruno Ceccobelli, Mimmo Rotella and Fabrizio Plessi. Thanks to this development, the brand Florian – Venezia 1720 was started. 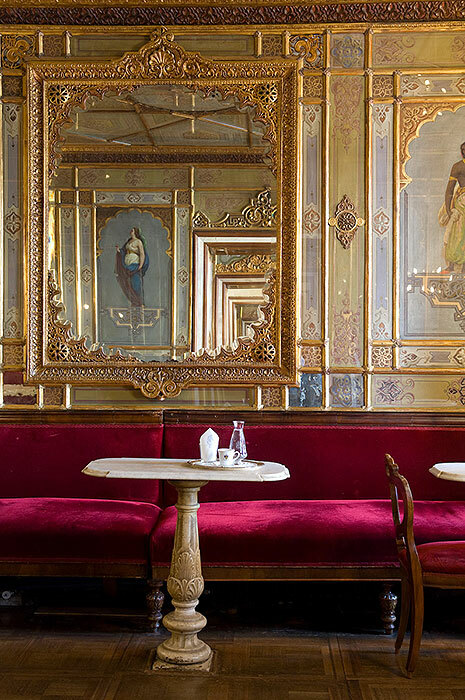 It’s a concept made up by a wide range of gourmet, design and lifestyle products which symbolized the elegance, the quality and the exclusivity of “Made in Italy”, with an eye towards modernity.